The senator’s point: the Detroit auto industry isn’t the only asset in southeast Michigan pushing deeper into the evolving mobility space of driverless vehicles connected to roads and themselves by advanced technology. The Army is, too, and it’s doing it at what’s known as TARDEC in Macomb County. 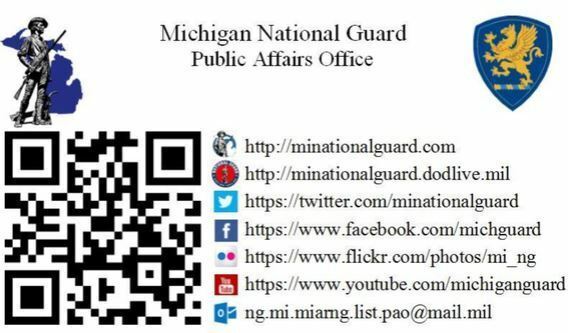 The Ricardo system is currently being piloted in 10 vehicles with the Michigan National Guard. 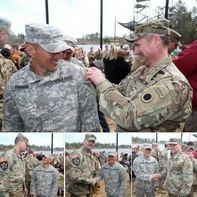 The project will expand the National Guard pilot program to include production grade components and processes developed. 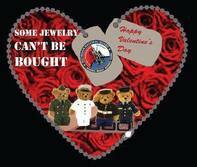 aimed at garnering public support for brining the F-35 Fighter to Selfridge Air National Guard Base. Wednesday Feb 23, 2017, The American Legion Department of Michigan State Commander Larry Carlton Money, Adjutant Ron Runyan, and Department Legislative Chairman Marilyn Britten welcomed Lt. General Raimonds Graube (middle) and Major Dmitrijs Nemenonoks (right) from the country of Latvia. General Graube is the former Chief of Defence of Latvia. The Michigan National Guard and the military of Latvia have been working together since 1993. General Graube will be retiring from military service soon. The visit to The American Legion Department of Michigan was a fact finding visit to explore how veteran service organizations work in the USA and how he might be able to create a VSO in the country of Latvia to support the veterans in his country. We shared our founding, our four pillars, organizational structure, and many programs directed to the American Veterans and their families. Department Veteran Service Officer Tom Kaiser explained some of the duties he performs to help veterans receive the benefits they have earned. We look forward to helping General Graube in his new mission. 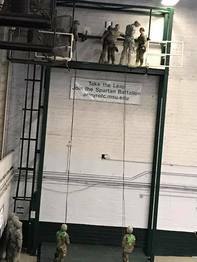 Soldiers of the 177th MP Brigade arrive in Detroit from Ft Hood, Texas, after successfully completing Warfighter 17-03. Welcome home, Tiger Brigade! 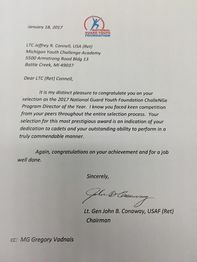 It is official, Lt. Col. Connell has been selected as the Director of the Year 2017 by the National Guard Youth Foundation. He will be recognized by dignitaries at the NGYF Recognition Reception in Washington DC next week. This is an incredible accomplishment for the hard work and dedication of the staff, cadets, graduates and all of the MYCA family. His competition came from 40 other ChalleNGe Academies in 30 different states, territories, and DC. Please feel free to like and share. "I believe the opportunity for real change is evident, and if all units of the community work together, from organizations and businesses to our faith leaders and service members, the condition of society will benefit greatly," Jones said. 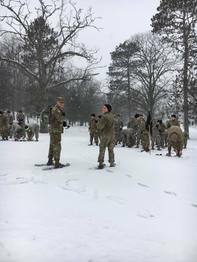 The 63D TC leadership supported the MSU Army ROTC Spartan Strike program. 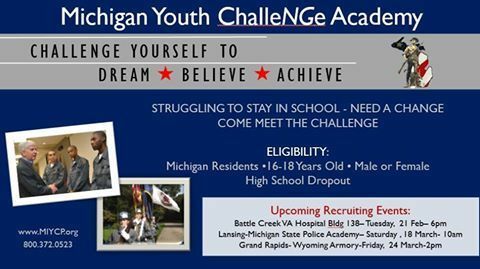 We will continue to support all Michigan Army ROTC programs. Go Army! Brig. Gen. John Slocum and Command Chief Tony Whitehead deliver their February address to the members of the 127th Wing, Michigan Air National Guard. After six consecutive years of smart, fiscally-responsible budgets, our state has made an incredible comeback. Now, as we look to go seven for seven, we have a clear path toward our future - a future that will make Michigan an even better place for all who call it home. Give an Hour is announcing our Reserve Component Program expansion, as well as information on our Five Signs of emotional suffering. 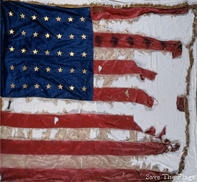 Thank you for the dedication to your country spent with the United States Marine Corps from 1948-1952. You will always be remembered for your dedication to the city of Detroit. From the Michigan National Guard, rest in peace Mr. Mike Ilitch, thank you and Oohrah!